A new festival is born !! From 18-21. 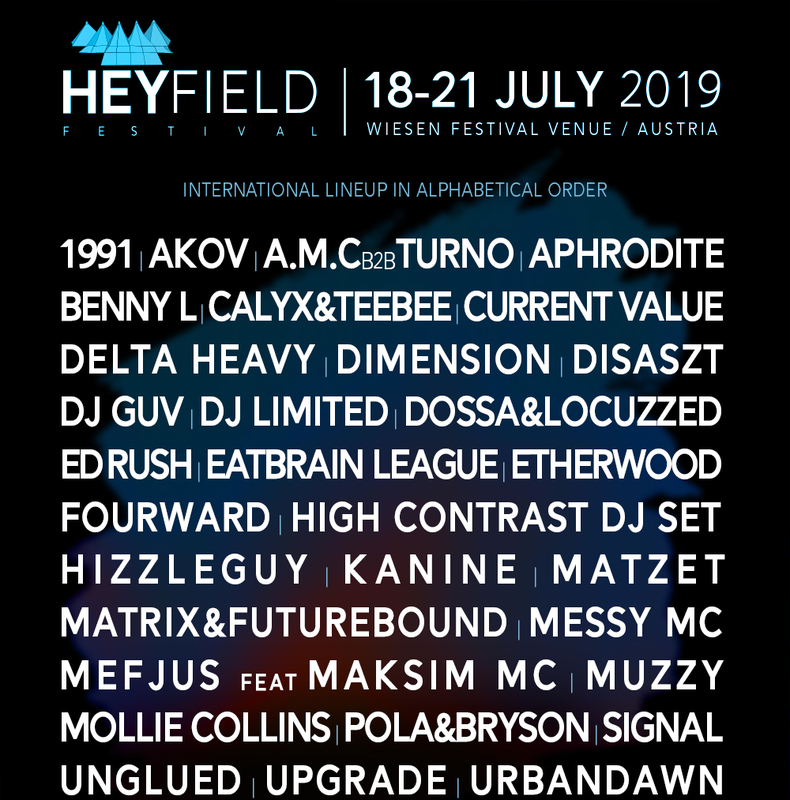 July invites the Heyfield Festival for the first time to Wiesen Festival Venue! After more than 40 years of festival history and countless legendary performances, it’s finally time again. 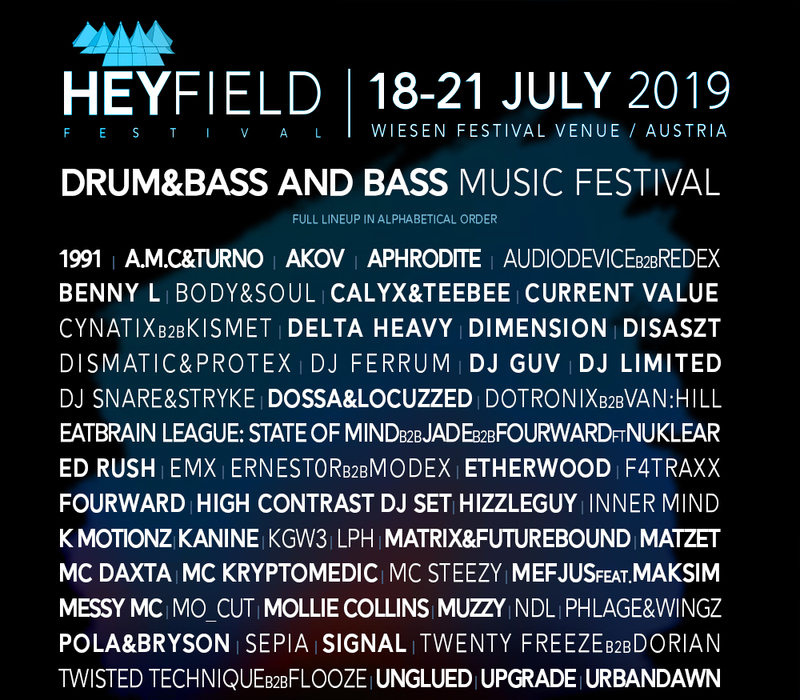 Meadows gets a new Drum & Bass Festival! With international headliners such as High Contrast, Delta Heavy, Ed Rush, Matrix & Futurebound, Dimension, Aphrodite, 1991, Current Value, DJ GUV or Mefjus and numerous national artists, we dedicate the legendary festival ground to the bass for three days and nights. Inspired by unique past experiences at the Urban Art Forms and Nu Forms Festival, we hope to continue this extraordinary tradition. Apart from the remarkable history and the associated unforgettable moments in terms of electronic music, Wiesen is also due to its infrastructure, the perfect festival location in the summer. A huge campsite surrounded by green forests and meadows, two stages with massive sound and light systems, but also sanitary facilities and easy stress-free travel make the festival area in Burgenland unique. So we are all the more pleased that the Heyfield Festival is allowed to take place at this special location and that together we may write a small piece of music and festival history.